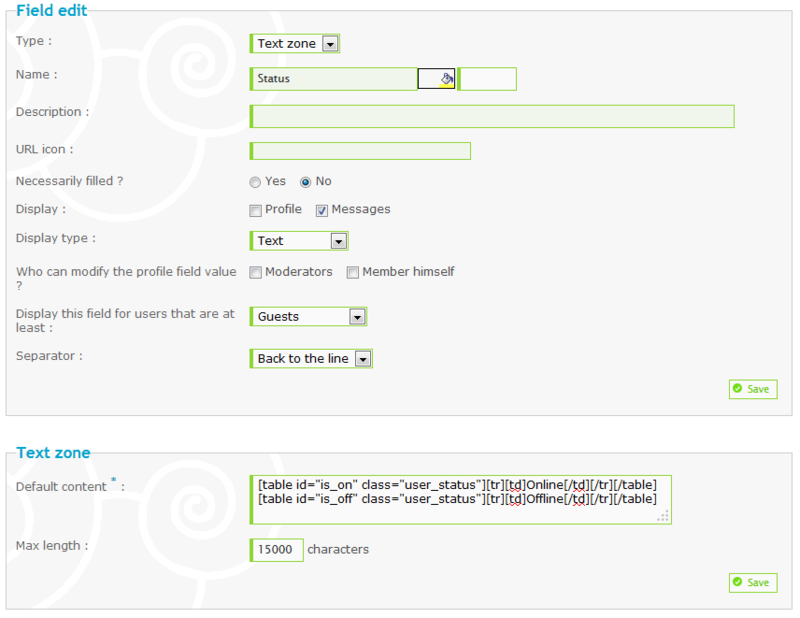 This tutorial will help you add a profile field which indicates the online status of a user for your Forumotion forum. For this tutorial to work for you, the version of your forum must be phpbb3 or invision. To make sure all users have the default content, edit the field, scroll to the bottom, and click 'Replace the content'. Click 'yes' to apply the default content for all existing members. Go to Administration Panel ► Display ► Colors ► CSS stylesheet. So the field functions properly when members are online or offline, paste the following into your sheet and submit. 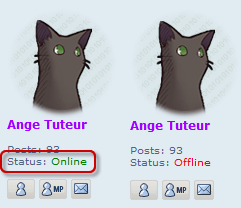 .user_status : is the class given to both the online and offline tables. #is_on : is the id given to the table displayed when a member is online. #is_off : is the id given to the table displayed when a member is offline. You can change the color of the online and offline texts by changing color:green; or color:red; to the color of your choice. You can use hex, color names, or RGB. You can even be creative and change the font with font-family or add a glow with text-shadow.